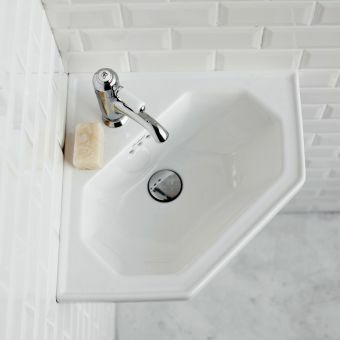 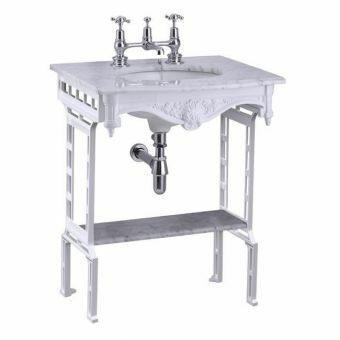 The Sophia Georgian basin is smooth, a flat top design consisting of a slab of real Carrara Marble worktop with a factory fitted undermounted basin, the underside is glazed and curved, compliment this with a Burlington chrome bottle trap for the full traditional effect. 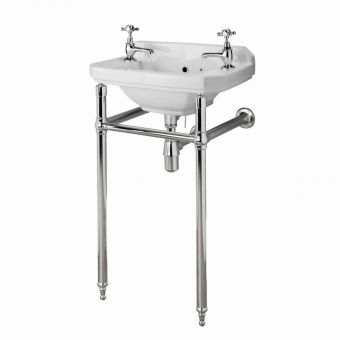 The washstand is made from sturdy durable brass and chrome plated to the highest quality. 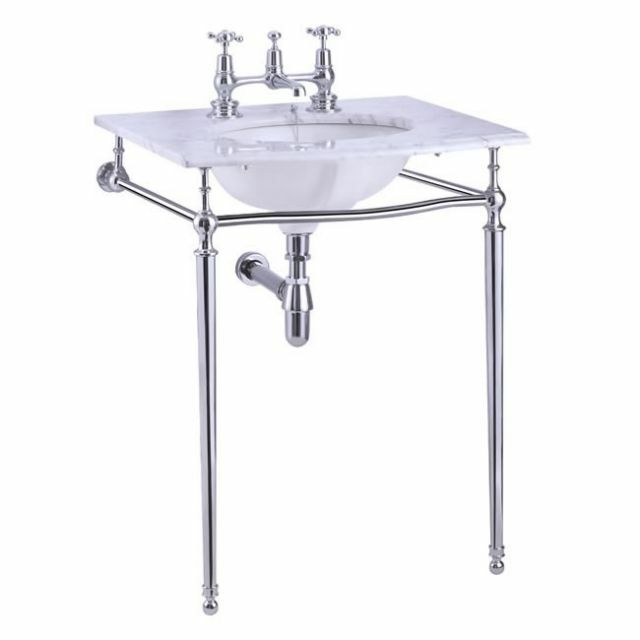 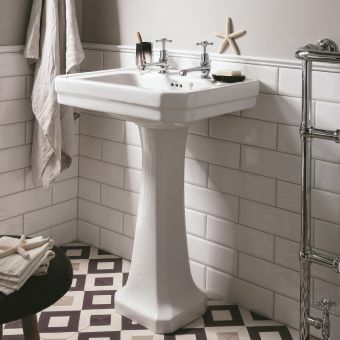 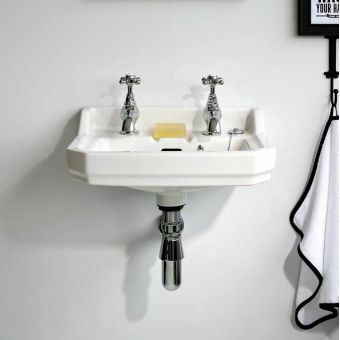 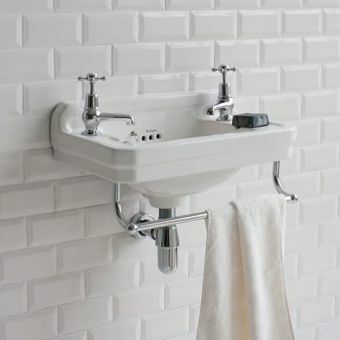 Caring for your new washstand couldn’t be easier with the ceramic and chrome plating requiring nothing more than a mild detergent and a soft microfiber cloth for cleaning, buff to a shine with a dry soft cloth and avoid harsh chemicals for years of lasting shine. 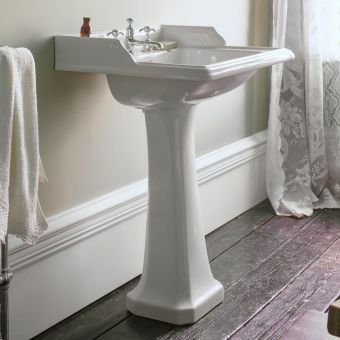 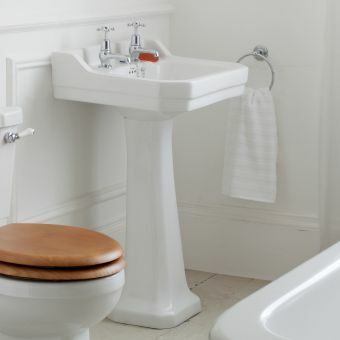 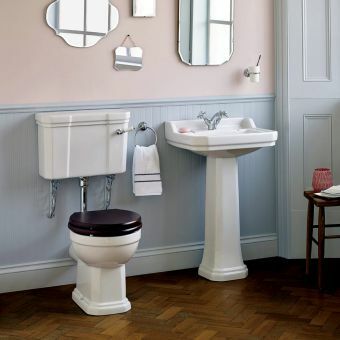 Delicate and refined, the petite slim proportions of the tapering washstand will help you create a sophisticated traditional bathroom.